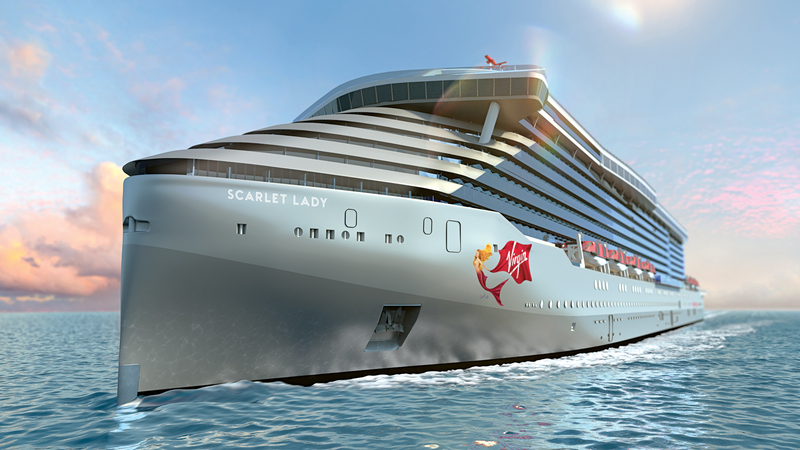 After months of anticipation, Virgin Voyages, the newest cruise line to enter the market, has announced that the name of its upcoming first ship will be Scarlet Lady. The adults-only ship, due to launch in 2020, is currently under construction in Genoa, Italy where Richard Branson, founder of Virgin Group, was on hand to make the announcement. Branson also announced that Scarlet Lady will be single-use plastic free as it strives to be one of the environmentally cleanest fleets at sea. There was also opportunity to talk about the Scarlet Squad – an initiative to try and get more female talent working on their ships – and that all passengers will be called ‘sailors’ which, let’s be honest, is just begging for Carry On innuendo.